Video games and cartoons take up a lot of children’s time, and Children’s Museums of Atlanta is out to combat childhood inertia with its newest exhibit, Run! Jump! Fly! Adventures in Action™. The exhibit, opening January 19, 2019 and running through May 27, 2019, invites children and adults to explore activities such as kung fu, surfing, snowboarding, yoga and horizontal climbing – all to get kids into action by playing and doing things they enjoy. 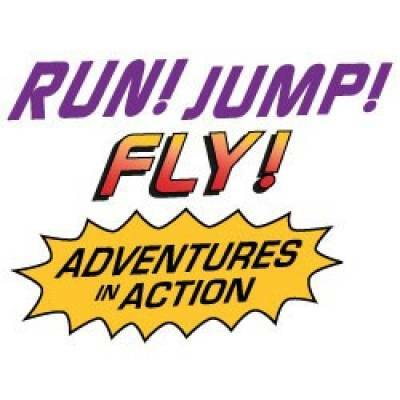 Featuring the theme of action adventures popular in children’s books and movies, Run! Jump! Fly! Adventures in Action invites visitors to jump into action star training – builds strength, coordination, balance and endurance. Cultural spotlights and real-life stories of young people and families who are passionate about a particular activity aim to deepen visitors’ motivation about fitness. As guests move through the exhibit and have fun with physical activity, they will get ideas for how they can become more active daily. Kids and accompanying adults are encouraged to acquire stamp for activities that they have tried on Action Trackers. Visitors can also take home Action Tracker 3-Day Missions – activity logs that encourage people to get physically activity for a total of 60 minutes a day.